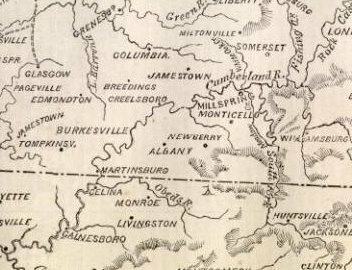 It was during the late winter and early spring of 1862, as the civil war was now in full swing, that the Union and Confederate factions of the Upper Cumberland attempted to reach a peaceful compromise in order to prevent the raids that were occuring in Fentress and Overton counties in Tennessee, and Clinton County in Kentucky. 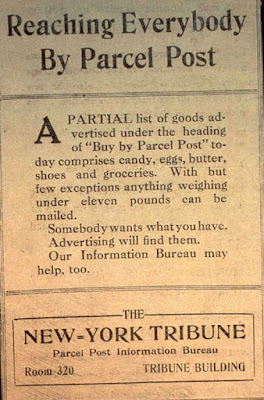 Murder, theft and arson had become commonplace during the absence of regular soldiers who had gone off to fight in the war. A peace conference was held at Monroe in Overton County. The Northern side was represented by men from Fentress and Clinton counties. The southern side was represented by men from Overton County. Since confederate guerilla Champ Ferguson was committing the largest number of atrocities, he was invited to the conference to represent the Confederate interests of Clinton County. That was a big mistake. Although the parties agreed not to raid into adjoining counties, the Monroe Compromise was dead from the start. Within hours Ferguson and his men killed four Overton County men on his way back to Clinton County. Ferguson, among others, would carry on a murderous rampage throughout the war against all who were in support of the Union. Before the war's end, most of the Union men who had participated in the Monroe Compromise were killed, most within the first year: James Zachary, Thomas Wood, William Johnson, Robert Martin, Joseph Stover, Louis Pierce, Eli Hatfield, Parson Joseph Dalton, a Mr. Taylor and John McDonald. Another who was murdered was my third great-grandfather. "Blessed are ye, when men shall revile you, and persecute you, and shall say all manner of evil against you falsely, for my sake." 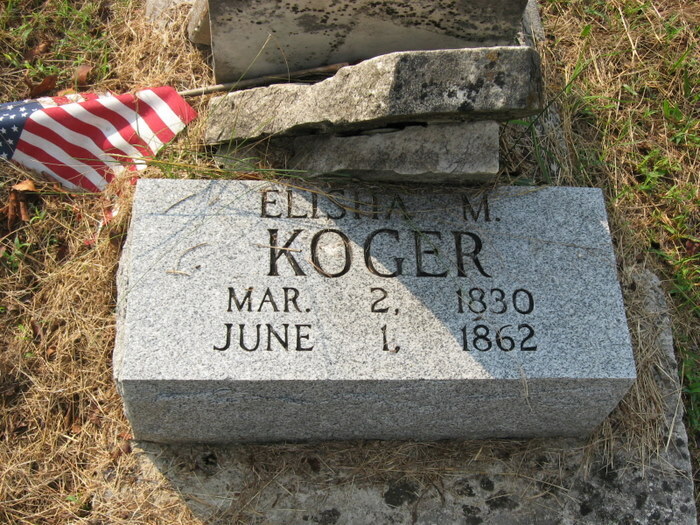 On the morning of Sunday, June 1, 1862, 32-year-old Elisha or "Elijah" Koger arose from his bed and headed out to the spring with his wife, Nancy, beside him. Shots rang out as a band of men appeared suddenly out of nowhere. Nancy screamed fo Elijah to run. As he tried to flee, Ferguson overtook him and shot him. Koger threw up his arms and said something, but Nancy could not make out his words because the couple's children were screaming. Shots continued to ring out as Elijah ran toward a fence some fifty yards from the home in the Oak Grove community. With Ferguson and nine other men following him, Elijah reached the fence and when he tried to cross it, Ferguson rode up close to him and shot him one more time. By the time Nancy reached the fence, the couple's 11-year-old daughter, Sarah, was holding her daddy in her arms. She was covered in blood. When Nancy reached Elisha, he gasped once, but never spoke. He had been shot more than 30 times. Nancy knelt beside her slain husband's body as Ferguson and his outlaw gang ransacked the Koger home. "Rejoice, and be exceeding glad: for great is your reward in heaven." Even though he was violently killed for his efforts, I am very proud that my ancestor, a leader in his community, had it in his heart to arrange a peace agreement that would have stopped the senseless acts of violence that overshadowed the civil war conflict in Clinton, Fentress and Overton counties. Even though he and the others were part of their communities' home guard, they should have received a medal of honor, or some other great recognition for the peacemakers that they were. I want to also mention that there were other Union men who were at the Monroe Compromise meeting who were pursued and terrorized throughout the war, but not killed. As for Champ Ferguson, on October 20, 1865, he was hanged for the brutal murder of Elijah Koger and 52 others he had been convicted of murdering during the war. The historical significance of the Monroe Compromise rests upon the premise of what might have been. 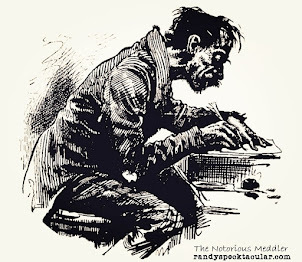 It is a story of reasonable men searching for solace in unreasonable times. It is the story of lives lost and families destroyed. I am at least honored to count my ancestor as being part of that brave group of men. For the record, I had family members on both sides of the Civil War conflict, who were both persecuted and harmed over what they believed in. 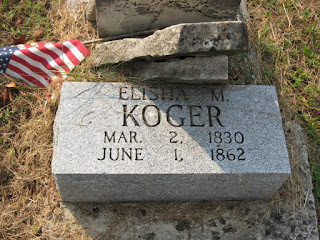 Elijah Koger was the grandfather of my great-grandmother, Nannie Koger Boles.